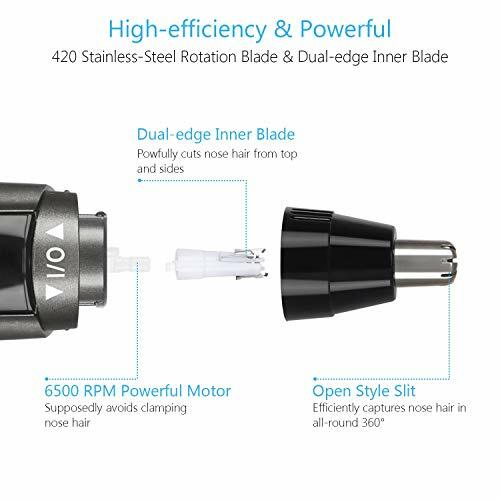 420 STAINLESS-STEEL ROTATION BLADE: “R”-round 420 stainless-steel rotation inter blade can efficiently and powerfully capture nose hair in all-round 360°. Let you show your best at work. 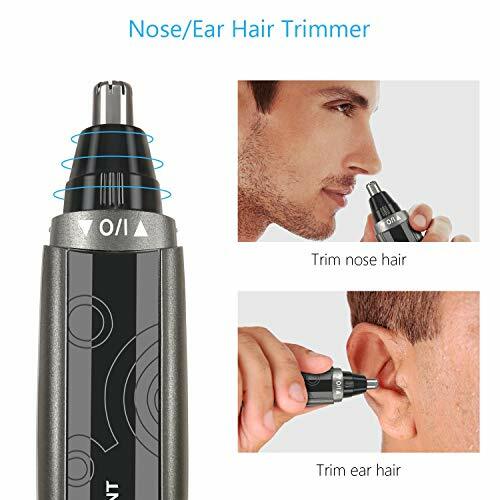 2 PCS TRIMMERS FOR STYLING: Nose/ear trimmer and detail trimmer for nose, ear, eyebrows, sideburns styling. 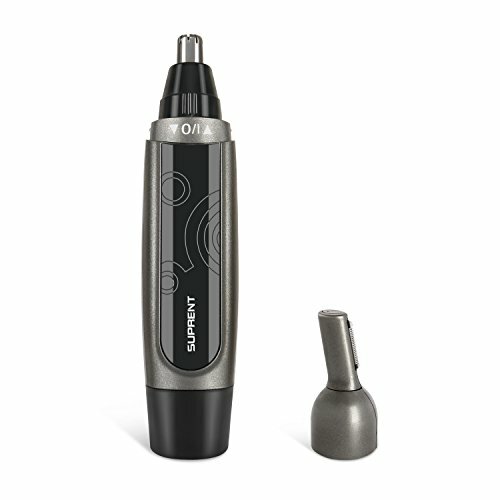 Let you become a stylish man, anytime and anywhere. 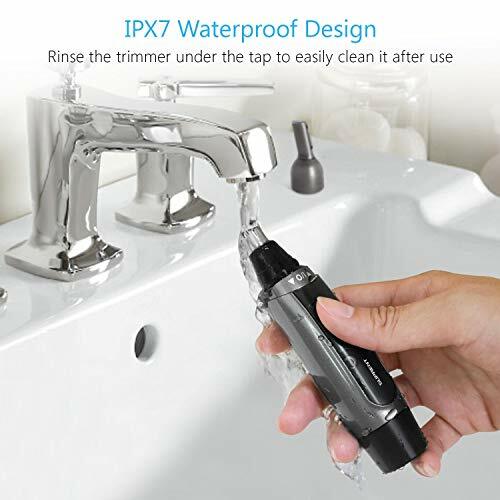 IPX7 WATERPROOF & ANTI-INJURE LED LIGHT: IPX7 waterproof and washable, easily deal with residual by soak cleaning, even you take a shower. With LED light, it’s more convenient and safer. 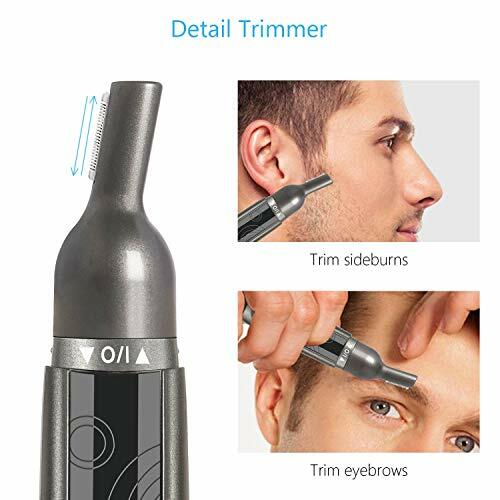 Avoid accidental injury to yourself when you trim your nose hair. ENERGY CONSERVATION: Adopt total newly electric machinery of more sufficient power. 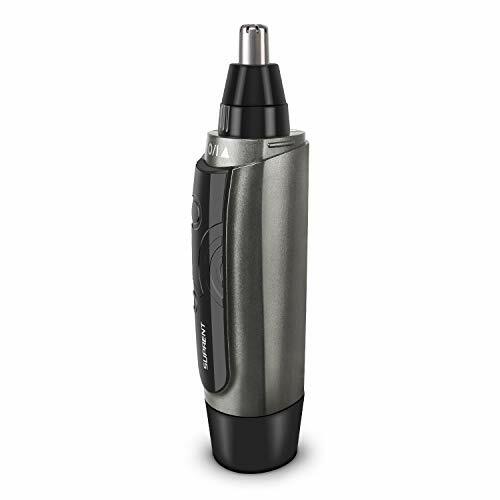 Power-saving improve 5%, 1 AA battery can operate for more than 6 months if 5 min at a time. All black design is more in line with your capable business temperament.